You may want your landing page to actually consists of a series of pages that are tied together. This technique is commonly used to lead a visitor through a series of questions. 1. 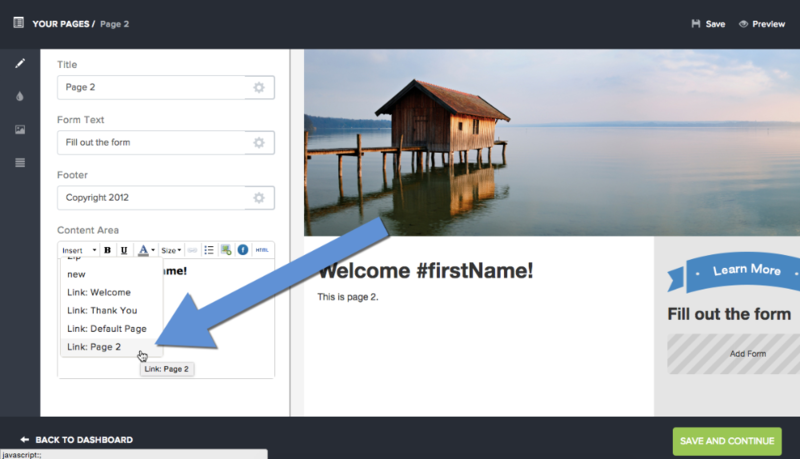 In the Landing Page Editor, Select the "Add Page" button. 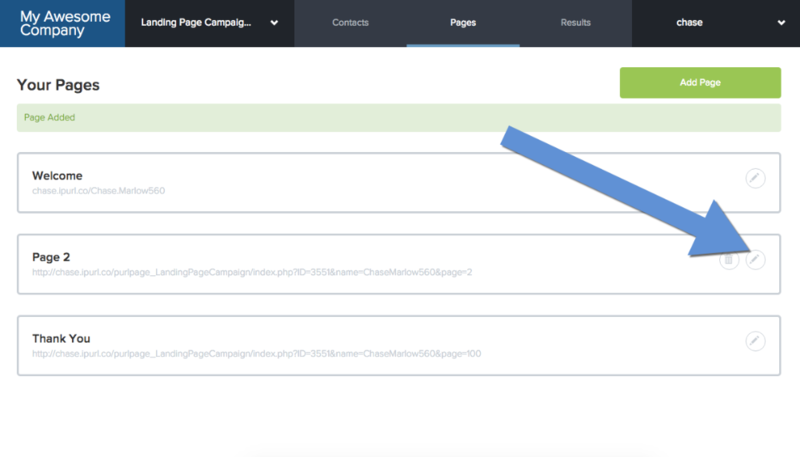 To access the Landing Page Editor, select the " Pages" tab and then select "Add Page". 2. A new page will be instantly added to your campaign. Submitting the form on Page #1 will now redirect to Page #2. You can change this setting through the form generator. 3. 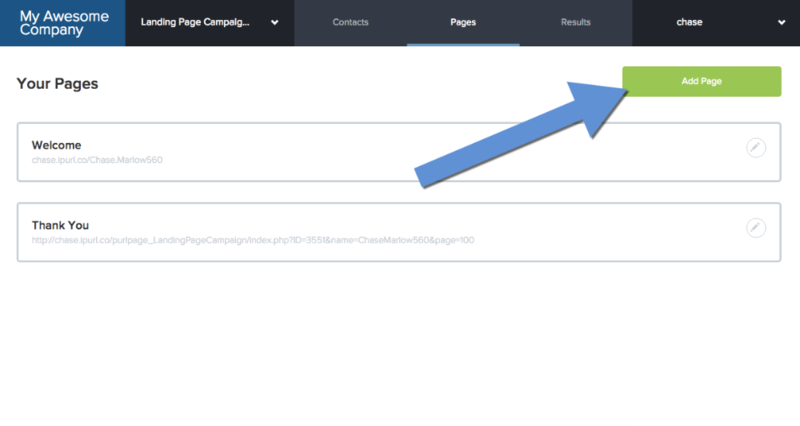 To create a link to the new page, Select "Page 2" from the "Insert" drop-down.